On Laylat ul Qadr, 23rd Shehre Ramadan 1436H, Syedna Khuzaima Qutbuddin TUS led maghrib-isha namaaz in Darus Sakina and performed shaandaar ihya ul layl. Following washsheq namaaz, Syedna TUS prayed to Allah Ta’ala taking heartfelt vasila of Panjetan Paak, Aimmat Tahereen, Duaat Mutlaqeen, and Hudood Kiraam, and seeking their shafa’at and intercession. Syedna TUS particularly took vasila of Maulatuna Fatema tuz Zahra AS, and did impassioned zikar of Laylat ul Qadr, Ma Fatema’s night. He stated that Laylat ul Qadr is “nobler than a thousand months” and it is a most auspicious gift from Fatema to her father Nabi Muhammad’s ummat khaassa. “Angels come down in this night” (tanazzalul malaa’ikatu war-ruhu fiha Surat al-Qadr:4) and in the night of satr, one Dai after another descends from the Imam’s firmament to do shafa’at for mumineen. Because we take their vasila, we have full conviction that we will receive Maulatuna Fatema’s shafa’at -- nay, we have already received her shafa’at, for it is a pledge she has made, just as Rasulullah SA said “dakhala l-jannah” – “he has already entered paradise” –(for one who proclaims “la ilaha illa –llah” with sincerity and ikhlaas). Her pledge is such, their pledge is such, that “tamaro bero paar thai gayo”. “Laylat ul Qadr” is mentioned three times in the Quran, denoting three virtues of Maulatuna Fatema: She is Rasulullah’s beloved daughter, for whom he declared his life was ransom, and whom he proclaimed sovereign of all the women in the world (sayyidat o nisaa il aalamiin). She is Maulana Ali’s SA consort; it is narrated that Fatema expressed much gratitude to her father for marrying her to Ali. She is mother of Imam Hasan SA and Imam Husain SA, mother of all the Imams, and mother of Qa’im, sahib ul qiyamat. In this bayaan, Syedna did pur-dard zikr of Maulatuna Fatema’s shahadat, and of her wasiyyat to Maulana Ali to place the vial of her tears in her grave, so she could extinguish any fire that had been lit for her husband’s shi’a because of their sins. Mumineen wept for Ma Fatema’s mazlumiyyat, and for all Ahl ul bayt after Rasulullah’s wafaat, especially Imam Husain. Taking these azeem ush shaan vasilas, Syedna TUS prayed to Allah Ta’ala to forgive our sins, and grant our petitions, including supplications for health, rozi, farzand, shaadi, barakat and nemat in all aspects of life. He beseeched Allah for acceptance of our worship, qabuliyyat of bandagi, easing of hardships, and a blissful end, khatimat bil khayr. Especially with Imam Husain’s vasila, Syedna prayed for our children and our children’s children for continuing generations to be mumin. 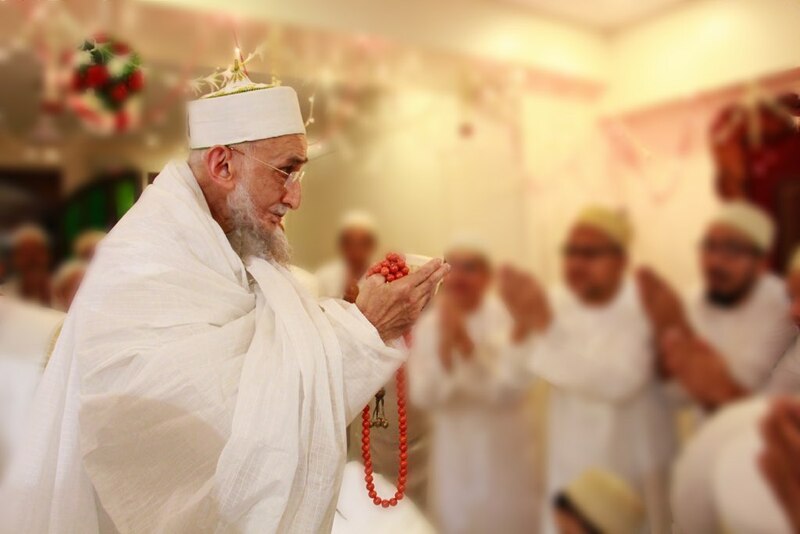 Syedna beseeched Allah to protect Dawat, which is Allah’s own Dawat, and to foil the plots of Dawat’s enemies. He said “safinah par mawj aawi rahya chhe. Yeh shukur karyey chhe ke hamein toh safinah ma chhe… qudus naa kaanthey pohonchnaar chhe”. He ended the vasila praying that we get the opportunity to worship Allah Ta’ala in the best possible manner in Laylatul Qadr year after year, inshaallah o Ta’ala. May Allah Ta’ala grant Aqamaula Syedna Khuzaima Qutbuddin longest life in sehhat and aafiyat, to lead us in bandagi, and to bestow his priceless duas for mumineen’s wellbeing and for the safeguarding of Dawat.